This morning I took a short walk out of the village. As I trekked up a hill out of the valley, I passed the newly mown fields and an abandoned orchard looking for late chrysalis on the milkweed and watched a flock of turkeys, their corse raw necks jutting up and down in the fading green. On my return down the hill, my eyes had grown accustomed to the forms and patterns of wayside plants making the lone asparagus on the roadside a surprising interloper until I noticed a variegated variety of common bishop’s weed and lilac bushes growing nearby. A house once stood near long ago, and, although vanished, the hand of the gardener remained. 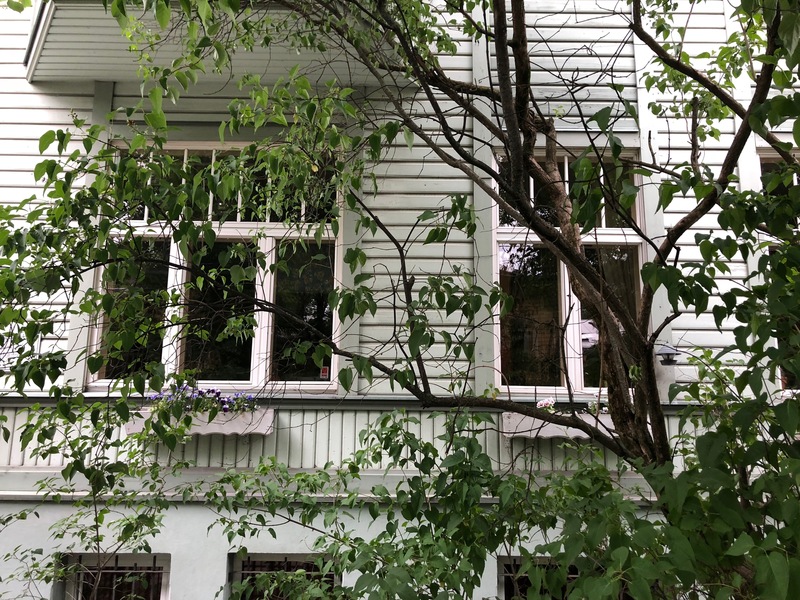 Standing on the edge of the road, I was reminded of finding Silvia’s plants in Estonia: a large tree towering behind the neighboring house on Tatari, the lilac growing high enough to shade the second-story windows of her childhood home on L. Koidula, and the peonies in the front of the house at Viinamärdi, still blooming each June, seemingly unaware of their owner’s departure in an August seventy-four years past. When I stood in front of Viinamärdi, I had visualized the German soldiers entering the front door, their military vehicles jamming the drive that circled around a flower bed now filled with roses. The new owners showed me floor plans from the Soviet era; the graceful architecture compartmentalized into solitary spaces, walling off one-room-from-the-next to house the numerous farm workers of a collectivized Viinamärdi. Yet, despite the hardships of those at Viinamärdi and the changed lives that stemmed from the land, the flowers continued to bloom. Before I left the farm, I took the soil I had gathered from Silvia’s garden in Vermont, and, with the new owner’s permission, placed it in the garden of roses. I wanted to return what piece of Silvia’s life I could. Yet, even as I scattered the dirt from Vermont in the circle of roses, I realized that pieces of Silvia had remained there all along. Living monuments, their owner unforgotten.